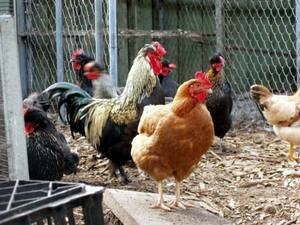 After growing your own, keeping chickens or some other is the obvious next step in food self-sufficiency. 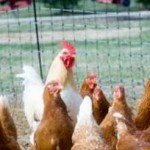 Chickens can be kept in most back gardens or yards and don’t take a great deal of space or effort to look after. 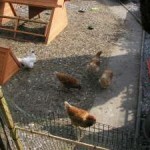 Initially you can start by getting a few hens for the eggs. If you’ve not had a home-produced egg from chickens allowed some space to roam in the garden you’re in for a treat. 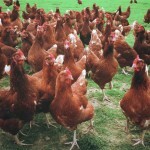 The easiest way is buy some young hens ready to start laying – point of lay hens. The next step is raising poultry for the table. That’s actually a big step since you’re going to have to face the reality of where the meat you eat comes from. Chickens aren’t the only poultry suitable for keeping at home. 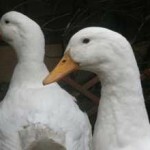 Ducks are nearly as good egg layers as chickens and if you’re really tight for space you can keep quail in a small area. The articles below should help you get started and answer your questions. 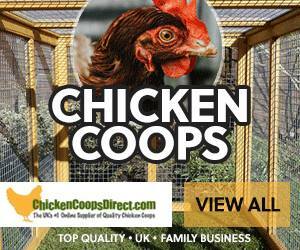 If you are looking to get poultry check out our list of breeders here. 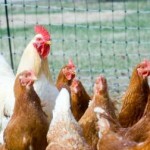 A series on the common illness and ailments that poultry can suffer. 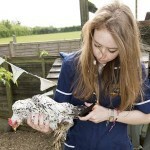 Hens tend to be fairly robust but when they do get ill they can go down very quickly. 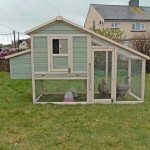 Finding cheap hens and housing can involve shopping about, checking local poultry breeders and making your own coop or adapting existing garden buildings. 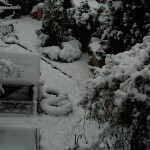 This article is part one of a 3 part series on looking after your chickens in winter. 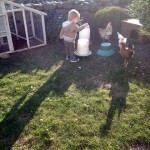 Looking at how to keep the garden safe and poultry friendly in Winter. 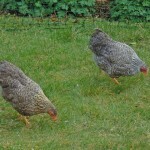 An introduction and discussion on back garden chicken keeping. Is it for you? What do you need to get started and what is the effect on existing pets etc? 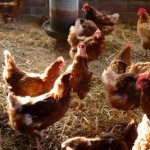 By shopping around and only buying or making what you need you can keep low cost hens in the garden or on a smallholding, feeding frugally is vital. 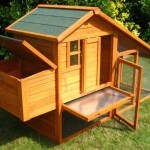 The lowest cost way to house your hens may be to convert an existing shed or build one from scratch but check these budget low cost chicken coops first. 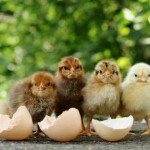 It is easy to keep chickens on a budget and then enjoy the fresh eggs and companionship in your back yard with our how-to guide. 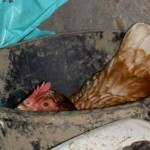 Feeding, watering & protecting your hens while on a budget is simple to do with our how-to guide. Keeping chickens warm in winter means a little extra care, but as they are naturally quite hardy it can easily be done with these hints and tips. 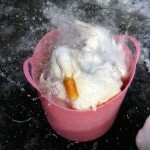 What to feed chickens in winter is all about keeping the body temperature up. 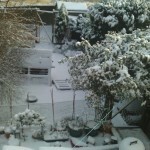 So warming layers pellet porridge or a handful of extra corn at night. 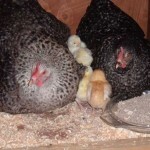 Whether using an incubator or a broody hen, incubating chickens & ducks can be an enjoyable way to add to your flock.